Quality craftsmanship and customer satisfaction are at the heart of everything we do. My name is Steven Johnson and I have been running my own business for over 20 years converting lofts into bespoke living spaces. We only undertake one project at a time so your home will have our full attention until you are totally satisfied with the completed loft conversion. 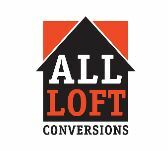 Please see our website for details of our previous projects safe in the knowledge that the same team will work on your loft conversion too. All work is guaranteed, estimates are free and all work undertaken by fully qualified craftsmen. For a friendly and professional service, call Steve now. I have been a carpenter since leaving school. I served a full apprenticeship for a large building company where I was awarded the City and Guilds Advanced Craft certificate. Further study and hard work led to me achieving the prestigious City and Guilds Licentiateship in Wood Occupations. I am also a long-standing member of the Institute of Carpenters where I was awarded my Master Carpenter certificate. I have known my roofer Paul for over 30 years. He is hugely experienced in all areas of roofing and external tiling. His attention to detail is phenomenal and his head for heights and resistance to cold weather while up on top of the building makes him a priceless asset to the team! Nick is the best plasterer I have worked with and has been with the company since the start. He has been in the wet trades since leaving school and his reputation in the area means he is in high demand at all times. Luckily, he prioritises his work for me! Nick works tirelessly to produce an amazing finish everytime and is a true professional and gentlemen. I have known Malcolm all my working life. We met in 1982 on an industrial project and have been friends ever since. Malcolm served his apprenticeship in Plumbing and Heating and holds an Advanced City and Guilds qualification and is registered Gas Safe. He has worked on all the plumbing aspects of all the loft conversions we have done over the last 20 years. Jez holds a City and Guilds certificate in Advanced Crafts and is a meticulous carpenter. I've been working closely with Jez for many years and have never worked with anyone quite so gifted in his profession. He has an eye for detail and an artistic flair which is second to none.